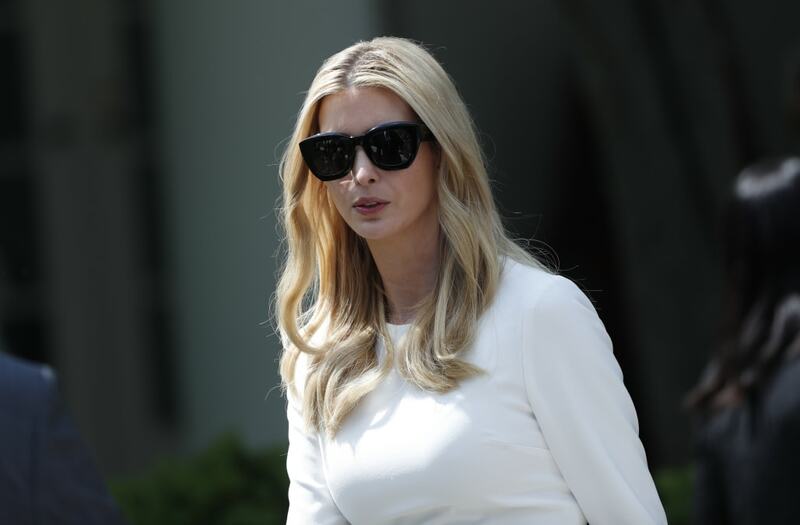 First daughter Ivanka Trump tweeted what she called a “Chinese proverb” to mark President Donald Trump’s recent historic meeting with North Korean leader Kim Jong-un, and the Internet was quick to point out it isn’t one. “Those who say it can not be done, should not interrupt those doing it,” she wrote on Monday. Many users of China’s social media site Weibo were baffled but helpful. A number of people offered suggestions for a Chinese equivalent. Ivanka Trump speaks along side her father US President Donald Trump following a tour of the H&K Equipment Company in Coraopolis, Pennsylvania on January 18, 2018. Bode Miller, former Olympic skiier, has lost his young daughter. USA Today reports that Bode’s 19-month-old daughter, Emeline Grier Miller, died in a hospital on the evening of Sunday, June 10, 2018. The day before, the child somehow wound up in a swimming pool while her parents, Bode and Morgan, were at a party at a neighbor’s house, as noted by TMZ. Paramedics had reportedly been called and had responded to a house in California’s Coto de Caza neighborhood in an effort to resuscitate Emeline. According to TMZ, paramedics performed CPR on Emeline before transporting her to a hospital. Unfortunately, they were unable to revive her. The incident is reportedly under investigation. 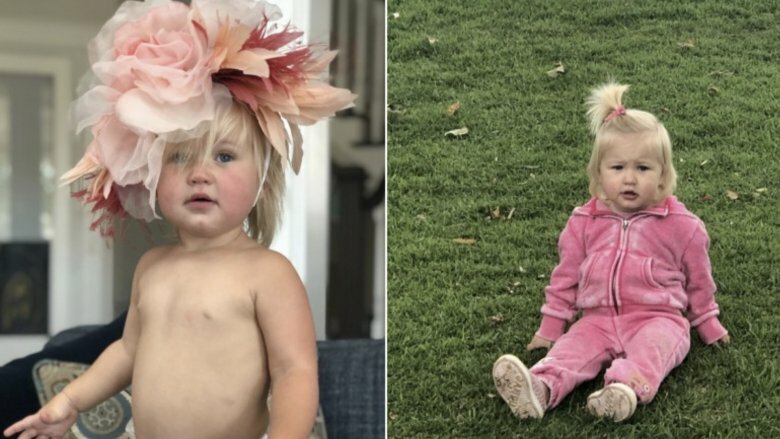 Bode’s wife, Morgan, shared the same photos and message on her own Instagram account. Emeline, who was named after Bode’s grandmother, was the youngest of Bode and Morgan’s four children. Bode and Morgan share 3-year-old son Nash Skan together, while Bode shares 10-year-old daughter Neesyn and 5-year-old son Samuel from a previous relationship (via People). Our thoughts are with Bode, Morgan, and their family during this difficult time. The 2018 TrevorLIVE New York gala brought together a slew of A-list stars to raise money for The Trevor Project on Monday night at Cipriani Wall Street. Hosted by Olympians Adam Rippon and Gus Kenworthy, the celebratory evening helped to raise over $2 million for the organization, which is the country’s largest nonprofit crisis intervention and suicide prevention organization focused on LGBTQ youth. The event honored “The Chi” creator Lena Waithe and “Love, Simon” director Greg Berlanti, among others, who both delivered inspiring speeches that brought the crowd to tears. Another honoree of the night was Brendon Scholl, a gender fluid teenage activist for the LGBTQ community who stars in the documentary “Draw With Me.” Brendon, who is Jennifer Lopez’s nibling, delivered a rousing speech with his mother (and Lopez’s sister) behind them that brought the audience to its feet. TrevorLIVE 2018 also featured a live auction, during which designer Christian Siriano bid on a private figure skating lesson and lunch in Los Angeles with Rippon before Kenworthy added that he would also join whoever ultimately won the offer. The night ended with a lively medley performance by Rita Ora, who sang hits like “I Will Never Let You Down,” “Anywhere” and her latest single, “Girls,” for which the case of VICELAND’s “My House” joined her onstage. Others guests on Monday night included Samira Wiley and wife Lauren Morelli, Derek Blasberg, Natasha Lyonne, the cast of FX’s “Pose” and “Real Housewives of Dallas” cast member D’Andra Simmons. Jennifer Garner’s amazing church outfit makes us rethink what our Sunday best can be! Jennifer Garner was chic and polished in her Sunday best as she exited a church in Pacific Palisades, California, over the weekend. Teaming a grey knotted skirt by Jason Wu and a fitted white short-sleeve turtleneck, the 46-year-old actress looked stylish for the service. She accessorized the look with matching grey Casadei ankle-strap heels, a roomy black bag and oversized Céline sunglasses. The ensemble was both dressy and on trend, convincing us to trade in our mundane church uniform for more sleek and cool pieces like Jen’s. Throw on a blazer and this outfit would be fantastic for the office. For a night out, swap the turtleneck for a bodysuit or cami to accentuate the skirt’s slit and flirty flair. We can’t ignore how amazing the mom of three looks as she went back to her Alias roots for her new action movie Peppermint, in which she becomes a badass vigilante to avenge her murdered family. Jennifer Garner Adds Over a Dozen ‘New Pets’ to Her Family — See the Pic! Rosie O’Donnell’s daughter, Chelsea, has filed for separation from her husband, Nick Alliegro. According to court documents obtained by ET, the 20-year-old filed for an annulment/legal separation in Marinette County, Wisconsin, on April 19. The couple tied the knot in 2016 and have a 12-year age gap. Their split comes following social media posts indicating that Chelsea is pregnant with her boyfriend, Jacob Bourassa. On Saturday, a rep for O’Donnell, 56, confirmed the baby news to ET, adding that the mother-daughter pair were making amends following a rift. “Rosie said, yes, she’s pregnant and they reconnected,” the spokesperson said. It appears this isn’t Chelsea’s first pregnancy, as she told The Daily Mail in 2017 that she was expecting a child with Alliegro. The interview shed light on her strained relationship with O’Donnell, who adopted Chelsea as a baby with her ex-wife, Kelli Carpenter. “I’ve always wanted a family and I’m looking forward to it. But Rosie will not be in my child’s life — and no, I do not feel sad about that, to be honest,” Chelsea said during the interview. However, it seems the estranged pair are now rebuilding their relationship. NEWS:Rosie O’Donnell Shares a Sweet #TBT With Estranged Daughter Chelsea — See the Pic! Alec Baldwin says he’d beat Donald Trump in the 2020 election! This isn’t the first time Baldwin has talked about running for President. 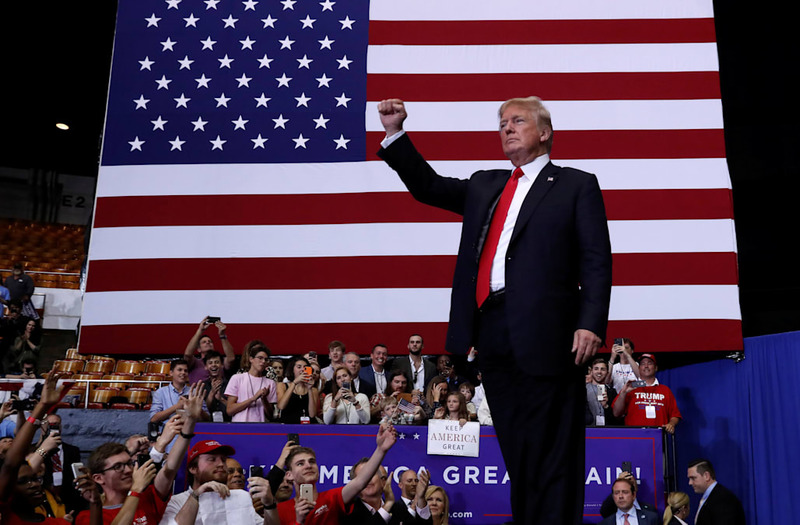 He told a crowd at George Washington University last year that he’d be a great president, saying that he does want to run for office, but isn’t sure if his lifestyle is a good fit for the demands of politics. Donald Trump commissioned a Hollywood-style video hyping peace in Korea to show Kim Jong Un. It was released to the media at a press conference on Tuesday. Trump said that Kim and his aides “loved” watching it, and hoped they would make it a reality. Donald Trump played Kim Jong Un a Hollywood-style video hyping the prospect of peace, which cast Kim as its leading man. The video, which Trump made public later that day at a press conference, made a dramatic pitch for the benefits of peace between the two nations. You can watch the English version above. The film, credited to “Destiny Pictures” drew on the “in a world” and “one man, one choice” framing of Hollywood action movies. Singapore’s Foreign Minister Vivian Balakrishnan takes a selfie with North Korea’s leader Kim Jong Un during a visit in Merlion Park in Singapore, in this photo taken by Kyodo June 11, 2018. Mandatory credit Kyodo/via REUTERS ATTENTION EDITORS – THIS IMAGE WAS PROVIDED BY A THIRD PARTY. MANDATORY CREDIT. JAPAN OUT. NO COMMERCIAL OR EDITORIAL SALES IN JAPAN. SINGAPORE – JUNE 11: (—-EDITORIAL USE ONLY MANDATORY CREDIT – ‘MINISTRY OF COMMUNICATIONS AND INFORMATION, REPUBLIC OF SINGAPORE / HANDOUT’ – NO MARKETING NO ADVERTISING CAMPAIGNS – DISTRIBUTED AS A SERVICE TO CLIENTS—-) U.S. President Donald Trump (L) meets with Singapore’s Prime Minister Lee Hsien Loong (R) to attend a bilateral meeting at the Istana, Singapore on June 11, 2018. SINGAPORE – 2018/06/11: President Trump leaves the Sinagpore Istana after meeting with with Singaporean PM Lee Heisn Loong ahead of Trump-Kim Summit. SINGAPORE – JUNE 11: (—-EDITORIAL USE ONLY MANDATORY CREDIT – ‘MINISTRY OF COMMUNICATIONS AND INFORMATION, REPUBLIC OF SINGAPORE / HANDOUT’ – NO MARKETING NO ADVERTISING CAMPAIGNS – DISTRIBUTED AS A SERVICE TO CLIENTS—-) U.S. President Donald Trump (L6) participates in a working luncheon hosted by Singapore’s Prime Minister Lee Hsien Loong at the Istana, Singapore on June 11, 2018. Officials from both delegations also attended the luncheon. It includes a sweeping orchestral score, epic shots of earth from outer space, and horses galloping along the beach, interspersed with imagery of Kim and Trump. According to President Trump, Kim “loved” the video, which he played in Korean to the North Korean leader and eight aides on an iPad at their private bilateral meeting. “A new world can begin today. One of friendship, respect and goodwill. Be part of that world, where the doors of opportunity are ready to be open: investment form around the world, where you can have medical breakthroughs, an abundance of resources innovative technology and new discoveries. “What if? Can history be changed? Will the world embrace this change? And when could this moment in history begin? “It comes down to a choice. On this day, in this time, in this moment the world will be watching, listening, anticipating, hoping. “Will this leader choose to advance his country, and be part of a new world? Be the hero of his people? Will he shake the hand of peace and enjoy prosperity like he has never seen? “A great life, or more isolation? Which path will be chosen? 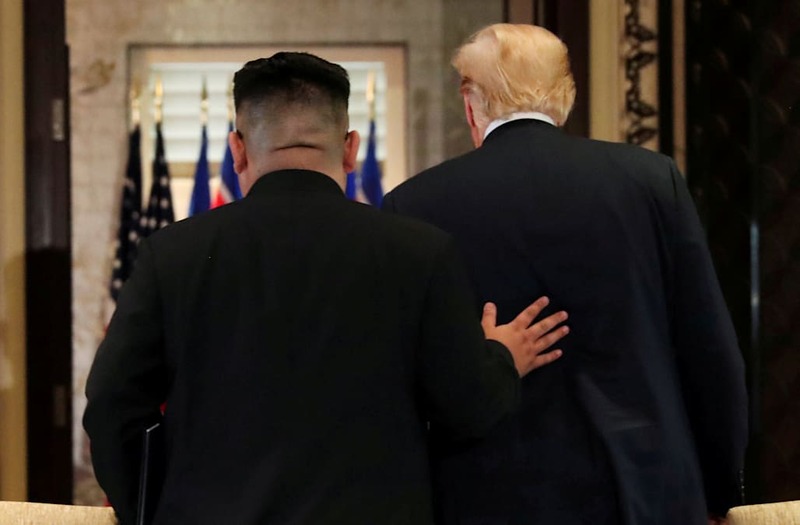 Trump was asked a question about the video at the press conference, during which he said he commissioned the video as a way to sell peace to Kim. “I showed it to him today, actually, during in meeting, towards the end of the meeting and I think he loved it. We didn’t have a big screen like you have the luxury of having, we didn’t need it because we had it on a cassette, an iPad, and they played it and about eight of their representatives were watching it and I thought they were fascinated by it. “I thought it was well done, I showed it to you because that’s the future, I mean, that could very well be the future. The other alternative is just not a very good alternative, it’s just not good. Otto Warmbier was a US university student who was detained and sentenced to hard labor in North Korea in 2016. He was released home last year after performing 17 months out of his 15-year prison sentence, and died days after his return. 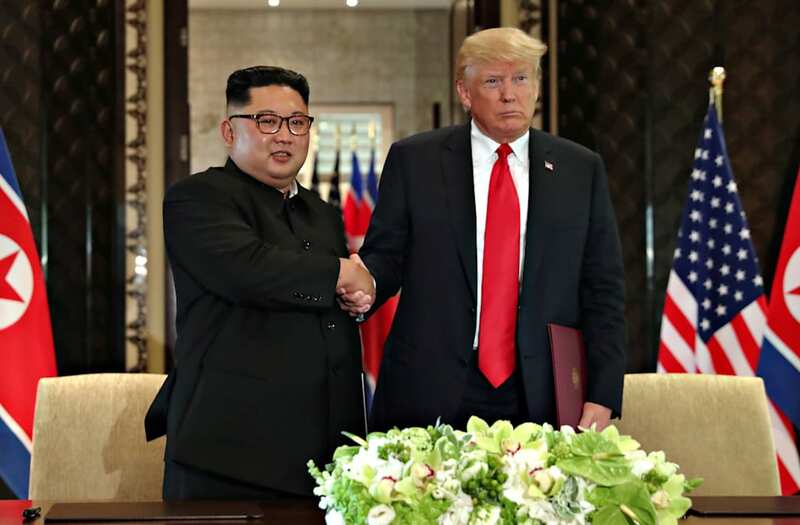 Donald Trump has said that his historic summit with Kim Jong Un would not have happened with Otto Warmbier, the US university student who was detained and tortured in North Korea for 17 months. “Otto Warmbier is a very special person and he will be for a very long time in my life. His parents are good friends of mine. I think without Otto, this would not have happened. “Something happened from that day — it was a terrible thing, it was brutal, but a lot of people started to focus on what was going on, including North Korea. “I really think that Otto is someone who did not die in vain. I told this to his parents: A special young man, and I have to say: Special parents, special people. Trump’s comments came in response to a reporter’s asking why he was “so comfortable” calling Kim “very talented.” See the full exchange below — Trump’s remarks on Warmbier come around the 0:40 mark in the video below. 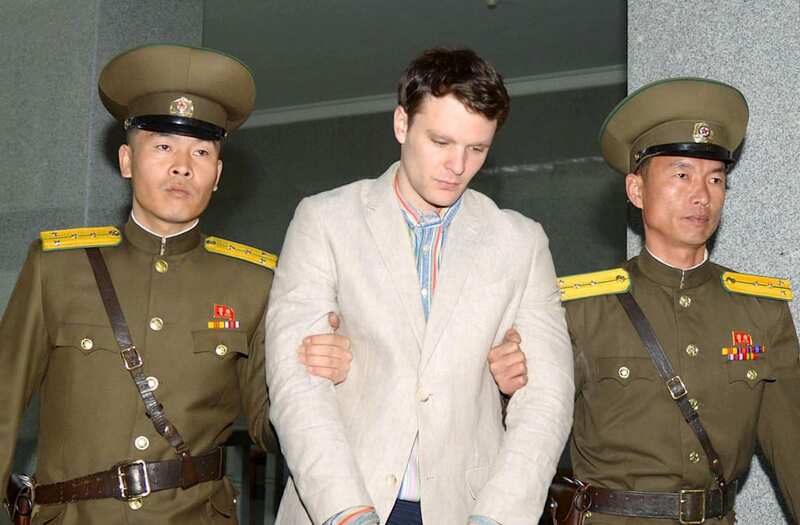 Otto Warmbier was detained in North Korea in January 2016 after allegedly stealing a propaganda poster at his hotel during his five-day tour of the country. March 2016 – 2017: The United States advocates for North Korea’s allowing Sweden access to Warmbier and three other American citizens, pushing for their release. February 2017: Secretary of State Rex Tillerson briefs President Trump on the situation surrounding Warmbier’s imprisonment in North Korea.Trump directs Tillerson to take all appropriate measures in securing the release of U.S. hostages in North Korea. May 2017: The U.S. State Department and North Korean Ministry of Foreign Affairs hold a meeting in Oslo, Norway, during which they agree to the Swedish Embassy in Pyongyang’s access to all four detainees. Sweden is later granted these visitation rights, prompting North Korea to request a meeting with the United States. June 6, 2017 – State Department Special Representative Joseph Yun meets with North Korean ambassador Pak Gil Yon at the United Nations in New York. Yun learns during this meeting that Warmbier has been in a coma for over a year. June 12, 2017: Through Yun, the United States is able for the first time to confirm Warmbier’s status. The U.S. demands Warmbier be released on humanitarian conditions. North Korea complies. June 15, 2017: Otto Warmbier’s father, Fred, speaks out during a press conference on his son’s return home. June 15, 2017: Doctors give updates on Warmbier’s status during a news conference at the University of Cincinnati Medical Center in Cincinnati, Ohio. Trump also paid tribute to Warmbier and his parents at his 2018 State of the Union address. Warmbier was released by the North Korean regime on June 12, 2017, and died one week after aged 22. It’s not unclear what happened during Warmbier’s year in North Korean custody. According to doctors who examined him, Warmbier had severed a severe neurological injury that most likely happened between March and April 2016. Trump said he addressed the issue of human rights with Kim at their meeting, but unnamed US officials told NBC News on Monday that the US decided not to do so. This June, spoil the man in your life that has always been your biggest supporter, wisest mentor and favorite jokester — dad! Whether your father figure is your dad, grandfather, uncle or close friend, show him just how much you care this Father’s Day with a gift that is utterly perfect for him. From small leather goods to a tech-friendly watch to grilling tools, we have rounded up great gifts for every type of dad (at every price point). Shop all of our favorite gifts below from great retailers like Nike, Michael Kors and Home Depot! And while you’re shopping, don’t miss out on all of the epic Memorial Day sales happening right now! It’s wedding season! Find the perfect present below.